Spectacles sound like something your grandad carries around his neck on a handy chain. So, how have Snapchat Spectacles become the hottest piece of tech in the last few months? Snapchat Spectacles have finally arrived and if you are incredibly lucky, then you can stroll right out and buy yourself one. Unfortunately, most the world doesn’t have access to them…yet. Luckily I can tell you enough about them that you will soon feel as though you own a pair. 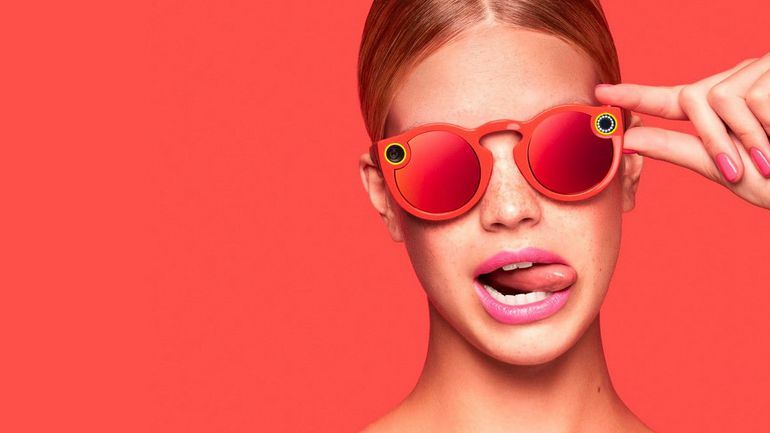 Snapchat spectacles (or ‘Specs) are the newest venture from the millennials’ favourite social media network. In a nutshell, specs are sunglasses that contain a camera that can capture short 10 – 30 second films from the point of view of the wearer. Aimed at their classic teenage target market, the specs are a quirky, fashionable shape in a few bright colours (black, coral and teal) that shout ‘fun’ from a mile off. The Specs connect to your phone via Bluetooth and automatically upload anything that you record, so that you can go through the footage and choose your favourites to add to your Snapchat app later. Essentially the specs remove any walls between you and your memories. There is a sense of capturing a memory first-hand, with no indication that a camera was there at all. More than that, the camera records in full 360 so that when you play it back you can rotate the phone and see the rest of the view. The sense of a direct ‘point of view’ is far stronger than when using your mobile phone and this increases the emotional impact of the content created tenfold. The glasses themselves come with a bright yellow case that also acts as a charger, with four full charges and a magnetic USB cable to connect the Specs. So, while the Specs will last less than a day with heavy usage, you are covered so long as the case is nearby. The interior of the case is squashy, cushioned enough so that you won’t break your Snapchat Spectacles if you drop it. This all means that the case is far heavier than the glasses themselves – luckily the Specs are light and don’t feel too uncomfortable when on, despite the camera hidden in the top corner. The camera is activated by pressing a button on the top right hand side and a handy light turns on to notify anyone nearby that you are recording. This is to stop them seeming creepy (like the Google Glasses) and make them seem more like a fun, harmless toy. After spending all day snapping short videos your phone fills up quickly, and it can be time-consuming to go through them all to choose what you want to upload to your story. When going back over your Specs’ snaps the interface is confusing and difficult to navigate – completely the opposite of what Snapchat has stood for thus far. Snapchat has reportedly said that the Specs are an experiment to see how the public responds to wearable cameras. With that in mind, it is easy to say that they have, so far, been a success. They are marketed directly at the youthful audience that love Snapchat above all others, and reflect the fun, quirky brand in their design. They are not as expensive as a Go Pro or Google Glass, but are not so cheap as to seem like they might be bad quality. These are the price point of an expensive Christmas or Birthday present – something a parent would stretch to buying for their child. The Specs have arrived at a time when people are more interested in wearable technology than ever before (hence the rise of the Apple watch and various fitness wearables) and cleverly focused their headlights on millennials. One of the main attractions is that the Specs appear to be something that you might actually wear. Sunglasses are cool and commonplace, fitting in with the rest of the world easily as if they had always been there. This is integral to making you feel comfortable wearing something that might otherwise be considered so outlandish and unusual. Where can you get a pair? At the moment getting your hands on a pair of Snapchat Spectacles is tricky at best. Snap Inc. has activated a unique strategy for distributing the Specs. This involves Snapbot vending machines that are set up overnight in random locations across the USA. So far they have popped up in Venice Beach, Loma Vista (both in California) and Catoosa, Oklahoma. The design of the bots is such that they have a giant eye that opens whenever somebody walks past and uses similar face recognition software to that used on the Snapchat app to show you what you will look like in the specs when choosing a colour. The queues for these Snapbots have been hours long (check out the video above) and each vending machine only allows one pair of specs per customer to prevent them running out too soon. This means that you will need to be extremely lucky and in the right place at the right time to secure yourself a pair. As mentioned previously Snap Inc. has specified that these Specs are an experiment to see how to world reacts to wearable cameras. Whilst they may be tough to get a hold of right now, the world has its fingers crossed that they will soon become available for everyone.